Nurturing all God’s children in the Peace of the Lord. Creating a community of sacramental worship, hospitality, and compassion. Proclaiming God’s promise in truth and courage. 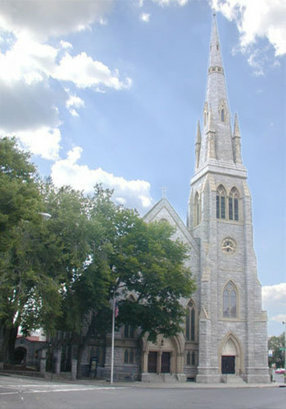 St. John's Episcopal Church is THE inclusive church in the Greater Waterbury area. Our congregation is diverse in all ways, i.e. - ethnicity, social and economic, orientation, etc. Generations of families have called St. John's their home church no matter where they end up living...they always come back. Enter your email address to receive an informative welcome email from St John's Episcopal Church.